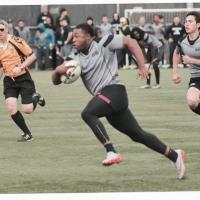 Western Washington University is coming back to the annual Battle of the Bay 7s tournament at Treasure Island in San Francisco October 21-22. The Vikings are a perrenial D1AA contender with a great coaching staff and are looking for recruits to bolster their program! Coach @adamcdroberts will be leading the 7s team and wants to connect with players who have an interest in going to school at WWU!